My love affair with North Carolina began like many love affairs – I was drawn in by looks. I went to university in Louisiana, but my family lived in Canada, so four times a year, once in summer and once in winter, I got in my trusty Chevrolet Celebrity and drove the 1,300 miles between those two places. A little over halfway through that journey – 12 of the 24 hours in, I’d hit North Carolina. 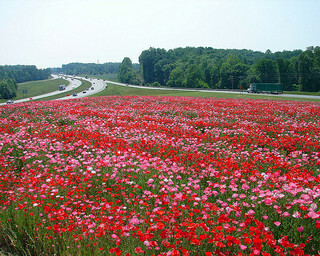 In those days (the late 80s/early 90s) North Carolina was the only state I drove through that had wildflowers planted in the highway median. The program apparently started in 1985 – so by the time I was making my yearly treks in 1987 the flowers were pretty well established and were beautiful. My journals from those days are packed away, so I can’t quote myself exactly, but sometime in 1989 during one of those drives when the flowers were particularly beautiful, I wrote in my journal that I had “a new favorite state: North Carolina.” I’ll never know whether my pronouncement then influenced my choice of law school later, or whether it was predestined that I end up at UNC, but 20 years later – most of which were spent in that state – I still consider it my favorite. The funny thing about moving in 2015 is that it is not terribly difficult to keep in touch with people. There are phones attached to our hips all day long – and we can not only use them to call the people we love and miss, but we can use them to text, email and facetime those same people. But it is impossible to keep in touch with a place you love, other than through sporadic visits. C and I made one such visit recently – spending 4 lovely amazing days in Charlotte, the place that will always be our “home” even when we are half a world away. We were in Charlotte in March and it still felt like winter in D.C. It was cold and damp and I spent a good part of every time I was outside reminding myself that I wouldn’t have to endure a full winter again for at least two years while we are in Africa. To know me is to know that I am ALWAYS cold in the winter. I feel like I spend months just trying desperately to warm up. I can’t tell you how many times people say something to me like “but you’re from Canada, how can you be cold here?” Seriously though – I’m cold EVERYWHERE that it isn’t over 75 degrees. And besides, I’ve done winter, folks. Nineteen years of living through Canadian winters was enough winter to last a lifetime. I’m done with it – a yearly Christmas vacation of snow, skiing, skating and tobogganing is great – but a week of it is enough. So we left D.C. where it was 36 degrees and we arrived in Charlotte, where, on our first day there the high was into the 70s. And the trees were budding. And the daffodils were blooming. I swear I almost dropped to my knees in joy when I saw those daffodils. We were outside without winter coats. 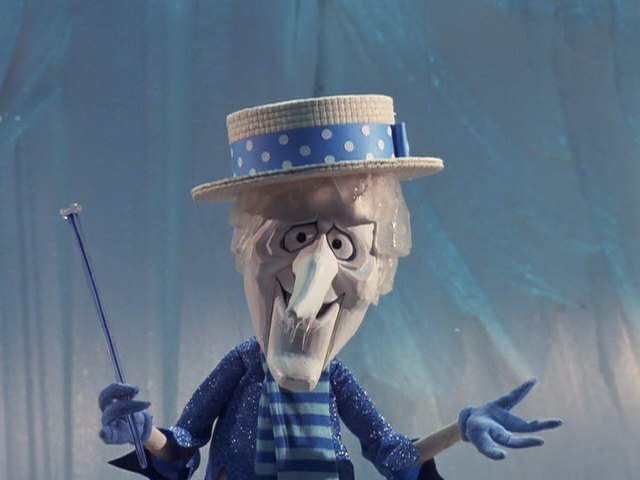 My hands did not feel like Snow Miser was clutching them all the time. It was heaven. Then we started visiting – places, people, friends, restaurants and my heart was both a little fuller – and a little emptier. We stopped and looked lovingly at our house that B and I built – arduously picking fixtures, colors, layouts, making nooks and crannies where there were none, and C asked me if we could stay there. 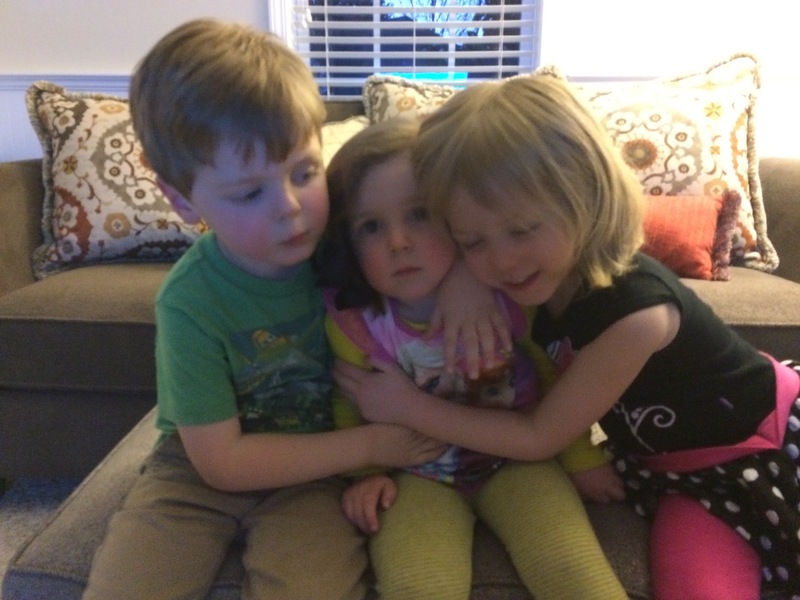 Then I had to say “No, because someone else is living there now.” It solidified my belief that we have done the right thing by keeping the house for now and renting it out, because I am not ready for it not to be ours – not ready to shut the door on the possibility that one day we can stay there again. Charlotte, because it is a “young” city – with lots of transplants who are also young – is an ideal city for a child. 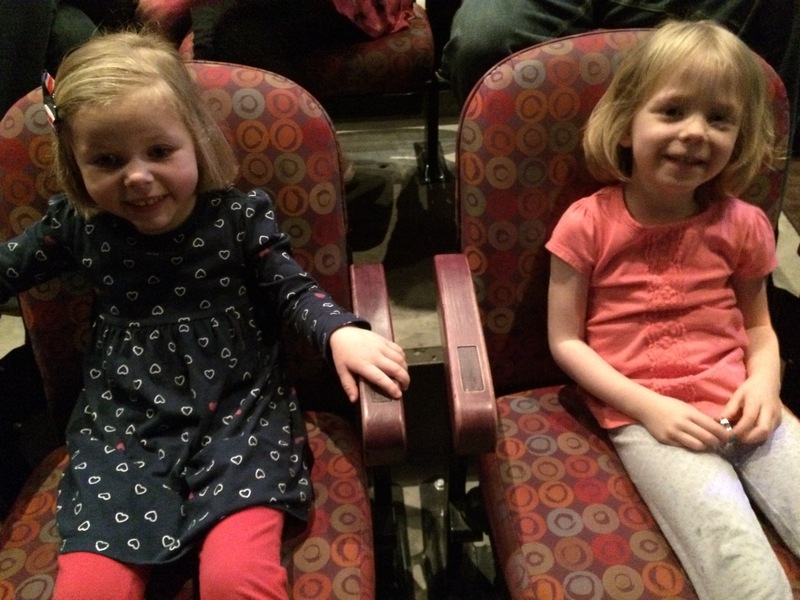 I’m convinced that there is more to do with a 4 year old in Charlotte than in D.C., which, with its depth and breadth of history, is more suited to a 10 year old, or 15 year old. 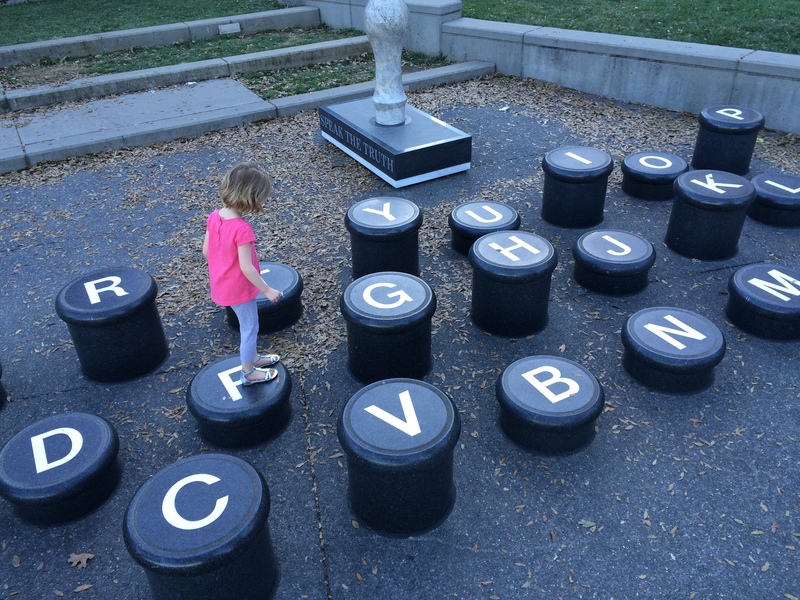 Charlotte is full of museums and parks and places that are geared to small children and we tried mightily to visit as many of those places as we could. 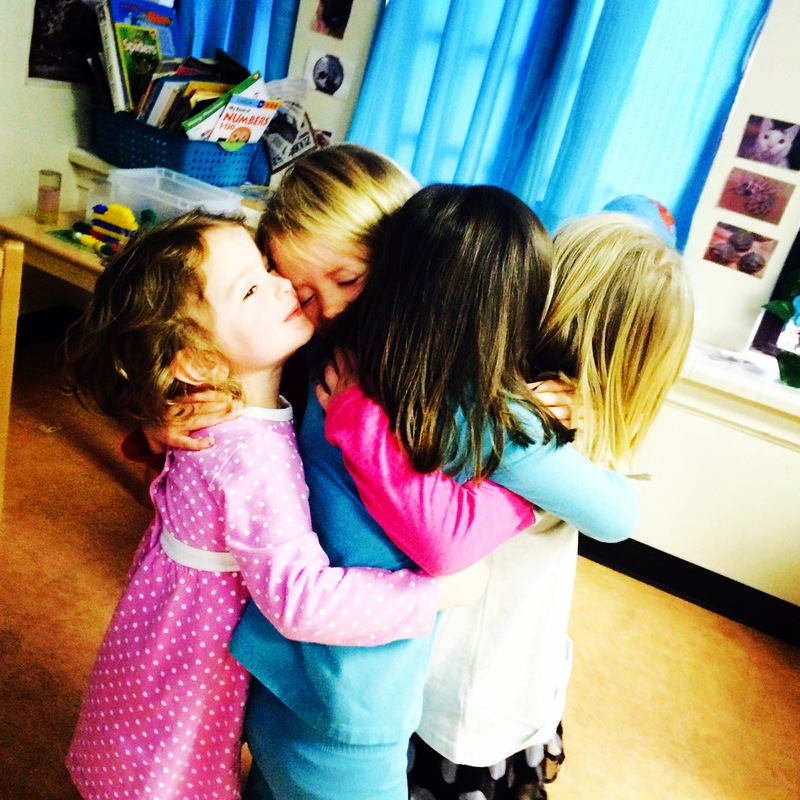 And, perhaps most importantly of all, Charlotte is full of people who mean the world to us. So, despite what I said above, and despite the fact that it really is SO much easier in this day and age to keep in touch with people, there is nothing quite like hugging the people you love. Sitting with them on a back porch, with the warm (WARM!) sun on you, drinking wine while your children, who were once the dreams you talked about, and then infants together, play in the yard and start the next generation of friendships which will endure through time and, now in our case, space. I am going to miss our friends and family without a doubt, but I hope that I will also get many opportunities over the next couple of years to chat with them, talk to them and visit with them. I know I won’t get that opportunity with Charlotte or North Carolina. The feeling of peace and belonging we feel there will have to travel with us, in our hearts, to deepest darkest Africa, and wherever else this adventure might take us.